According to Bhatia, (2006) tax is defined to be as a compulsory levy which should be paid by economic unit to the government without any corresponding entitlement to receive a definite and direct quid pro quo from the government. Rationally, people always expect something for something they have given to someone. Tax is something people give to the government and in return people may expect something. However, people are limited to indirect benefits rather than direct and definite entitlements. Gans et al, (2012) quotes American Statesman Benjamin Franklin to have said that ‘in this world nothing is certain but death and taxes.’ Certainty of death inflicts fear to the people, so does the certainty of taxes. 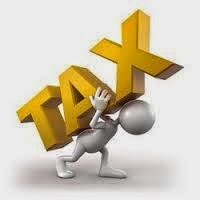 People of less or no income, when they are imposed tax it appears to be like death penalty. In this light, can we generalize that taxes are bad? The answer is obviously no because a tax besides its negative impact has its own silver lining. Mere perception will not adequately justify whether it is good or bad but with analysis of affects of tax to the tax payers, role of tax in generation of state revenue, its cyclical mechanism, and redistribution functions may help us decide the fate of taxation in Bhutanese economy. History of taxation in Bhutan can be traced back to 17th century. During those time taxes were paid in kind to the number of petty rulers. There was no proper system of taxation. People were persuaded very much to get as much as possible. The second king realizing the irregularities in the tax system centralized the tax collection authority and ensured that the revenue was used for enhancing the living conditions of the people (Bhutan 2008, 2008). In a way, the tax was not fairly exercised to the people. The need for the formal taxation system was felt in 1960s when Bhutan steered towards first ever five year development plan. They felt the need of budget in order to bring about socioeconomic development in the country. People were levied taxes in the form of compulsory labor contribution in building public structures and in equivalent kind. Later in 1970s when Bhutan started printing her currency (ngultrum) the taxes were to be paid in money. By weighing the level of compulsion; failure to pay tax were said to be punishable by law and by the amount of administrative burden in collecting the tax, tax was questionable if it really served its purpose. People were compelled from no or very less means and collectors had to go the remotest of villages to collect tax. Are Taxes good or bad to the economy? When government of any country imposes tax and when taxes are collected, it involves good number of responses from the tax-payers and the economy. Such responses can be of great variety and they can profoundly influence the working of the economy in terms of production, growth, saving, investment, choice of techniques of production, regional imbalances, inequalities of income and wealth, etc (Bhatia, 2006). Besides having very good taxation system of a country, the taxation has got both beneficial and harmful effects. When a taxation system exhibits a harmful effect to the society and the economy, it can be termed as the burden of that tax. 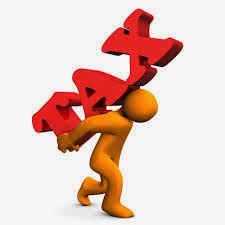 The reduction in the disposable income of the tax payer may be referred as the money burden (Bhatia, 2006). Looking at the tax slab of Personal Income Tax (PIT), Business Income Tax (BIT) and Corporate Income Tax (CIT), it is evident that there are some drawbacks though they have not been revised for a long time. Despite the general increase in the personal disposable income as well as the cost of living in Bhutan over the last couple of years, the rates remained unchanged for a long time. For instance, when PIT was first introduced in Bhutan in 2001, taxes were exempted for those earning salary less than Nu.100, 000 in a year. India then provided tax exemption to those earning below Nu. 70,000. Today, while Bhutan’s PIT rate remains as it is, India has increased the minimum income qualified for tax exemption to Nu.150, 000. Dividing the exemption rate of 100,000 by 12 months, people with just more than Nu.8000 per month are liable for personal income tax imposing money burden. This de-incentivizes civil servants to work hard or work at all. In this light, government should increase the exemption rate to reasonable amount so that tax will become progressive and citizens will pay without a word.